Sean is still pretty young by some standards. Yet, his qualifications read like someone much older: numerous certifications, two degrees, a family, and nine years of outpatient therapy experience. On top of that, he’s a partner at Back in Action. You might wonder how he does it all, and we’d tell you that it’s his even temperament and dedication. Sean brings these qualities to each of his patients. His brand of physical therapy encourages patients to be active participants in their recovery and take ownership of their condition. Through a mix of manual thereapy, exercise, and education, Sean gives his patients the skills they need to get back to work and on the field. 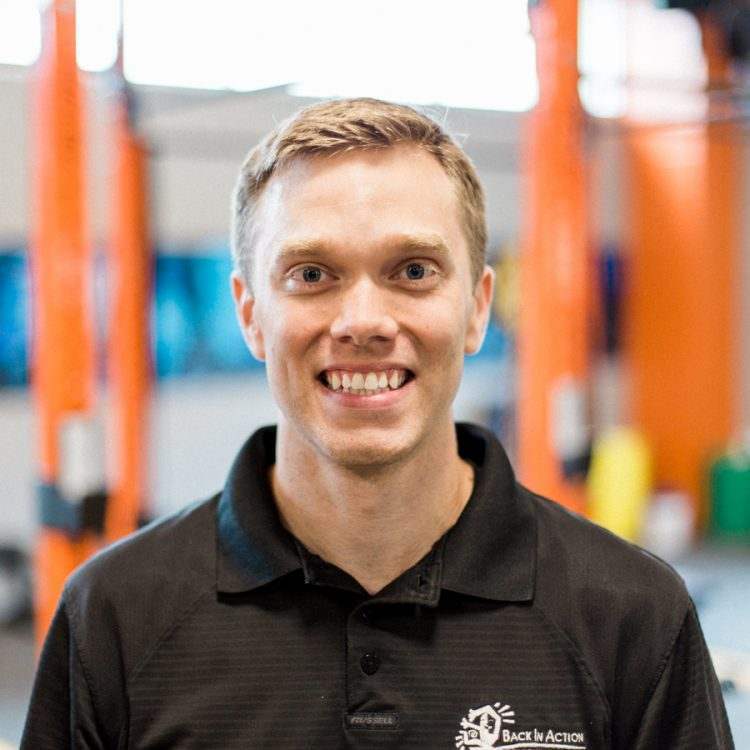 He is dry needling certified and trained in the Selective Functional Movement Assessment, an important tool in finding root causes of mobility issues. A Raleigh native, his family has recently moved to a new home in Holly Springs and look forward to immersing themselves in the community. When not at the clinic, you can find him camping, biking, playing disc golf or enjoying time with his wife and two young children.